Parama, a typical housewife in a conservative Bengali family is content to be what she is, playing out the varied roles of wife, aunt, daughter in law, mother, etc. She finds herself attracted to Rahul Roy, a professional photographer who is taking her pictures with her family’s permission, and falls in love with him. Now Parama is ecstatic. She lives, waiting expectantly for Rahul‘s letters. The letters stop. When her husband finds out about the affair, the result is disastrous. Parama lives through the humiliation and terrible suffering. Lonely, knowing not where to go and whom to trust, she attempts suicide. Saved in the nick of time, Parama is no longer the same woman. She has found her identity. 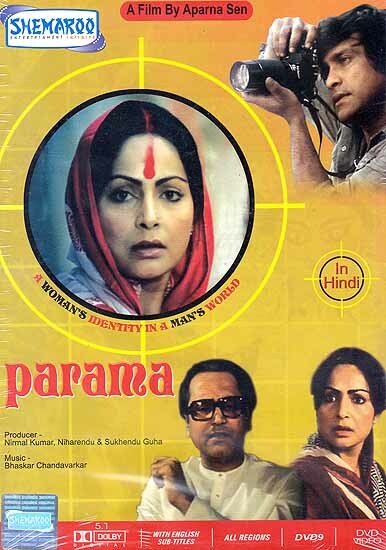 Trivia: This is the second film that Aparna Sen directed after he critically acclaimed 36 Chowringhee Lane. The film ran to packed house, unusual for a ‘non-commercial’ film. It also raised a controversy among critics and audiences alike for its bold theme.